Modern technology improves in leaps and bounds, integrating itself into even the most mundane aspects of daily life. Some interesting new technologies are even making their way into the jewelry industry. With new styles, different access to retailers for consumers, and increasing competition to use technology to make consumers lives more convenient, the jewelry marketplace has turned into an exciting place. Many women choose to wear jewelry that does more than just accessorize an outfit; these beautiful pieces could actually be technological tools in disguise! 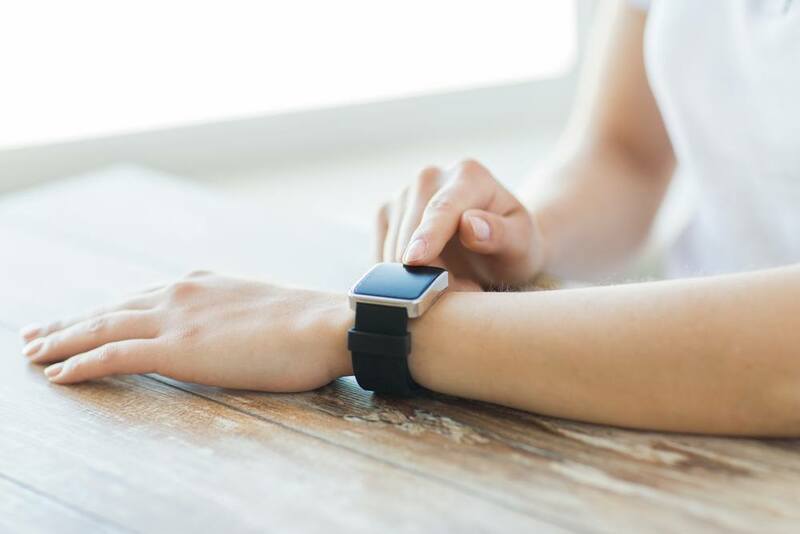 The rise of the fitness tracker in the last few years opened the door for jewelry designers to begin creating wearable tech that integrate smartphones with jewelry. First, Tory Burch designed sleek jewelry pieces to disguise the undesirable rubber bands of fitness trackers, but then designers took it one step further. One of the newer brands on the wearable tech market is Ringly, a line of rings that connects with your smartphone to subtly vibrate and notify you when you receive incoming calls, texts or emails! This will make it easier for women to detach from their phones during meetings or at the dinner table. Even the high-end luxury label, Rebecca Minkoff, has jumped into the wearable tech market with a line of sophisticated and elegant Bluetooth jewelry pieces that discreetly light up when your phone receives a notification. Jennifer Hudson was even seen on the red carpet wearing a diamond-encrusted Samsung Galaxy Gear watch made by Brilliance.com. With all of these incredible designers entering the market, you’ll never be able to tell whether that gorgeous bracelet you’ve been eyeing on your friend’s wrist is wearable tech or not! Technology has also made it easier for jewelry designers to create new pieces. Computer Aided Design (CAD) software allows designers to zoom in and add more intricate detailing on pieces than was previously thought possible. The old way of designing, which involved sketching by hand and then filling in with water colors, required more time and effort, and an entirely different skill set, to design jewelry. The new CAD software aids the creative process, as it allows designers the freedom to try new things, and then quickly revise if necessary. This widespread design technology combines engineering with art in a way never truly accessibly before. It also allows designers to show a customer computer generated images of what the final product will look like, adding a convenience factor the the entire process of designing a ring. Here at Brilliance.com, we specialize in custom designs making full use of computer aided design to give our customers the absolute best quality using the latest technology. Technology isn’t just changing the way jewelry looks or functions, it’s also changing the way we shop. A new app, Try It On, allows customers to try on pieces virtually to see how they look without having to go into the store. A lot of women spend years visualizing their dream engagement ring down to the exact cut, color, carat and clarity. With new smartphone apps, women (or their significant others) can sort through hundreds of engagement rings to find the perfect diamond. Even if you don’t want to buy the engagement ring through the app, this is a great way to find a ring style that you like quickly and conveniently so that you can bring it into a retailer. Even though these technological advancements have made fun, interesting jewelry pieces and services, sometimes there’s nothing better than the classics. If you’re looking to ease into the world of technology and jewelry, stick to shopping in online retailers that give you the convenience and comfort of browsing from your own home. Brilliance, one of the leading online diamond retailers, even has a live chat feature that connects customers directly to a jewelry expert available to answer any questions that may come up. Search through the vast inventory of traditional diamonds and other jewelry pieces,or browse the diamond education section to learn more about how to choose the best stone for you!